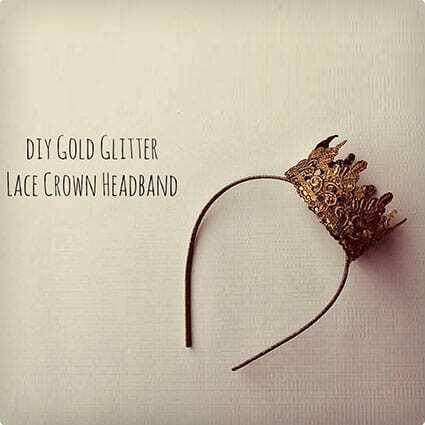 Get a new style every day of the week when you start making these DIY headband projects. 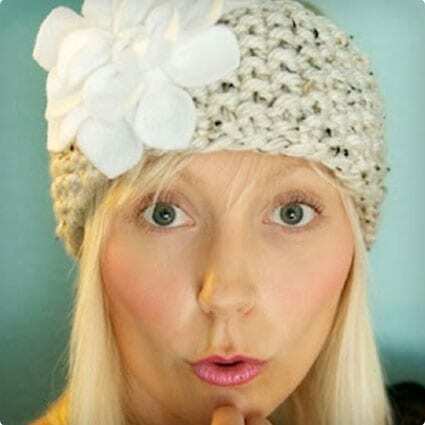 See all of the unique ways to use everyday materials to make striking headbands that will get you noticed. This basic, no frills headband is the perfect choice for when you just need your hair out of your face. 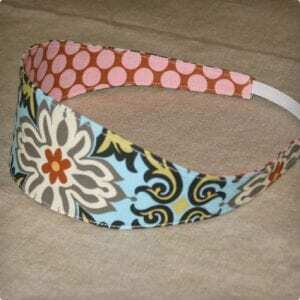 In this quick and easy tutorial, anyone can quickly turn an old t-shirt into a cache of nifty and durable headbands. 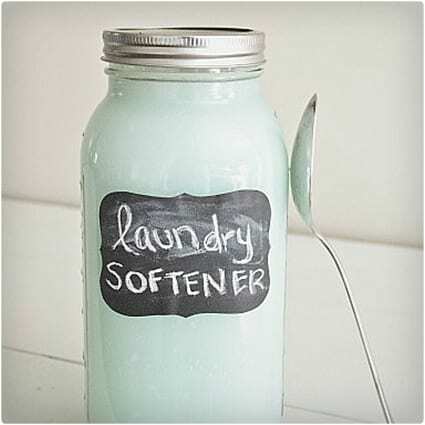 Who says that homemade crafts have to look homemade? The successful DIY enthusiast behind this project has a sworn mission to share easy and fashionable DIY projects that anyone can make, and that always end up looking like they were professionally made. Tights are an amazing item to have around the home, and not just for dressing up an outfit, or keeping the chill off your legs in breezy weather. 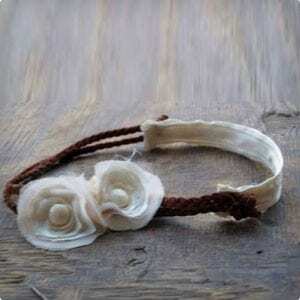 You can take old tights and turn them into many different crafts, including this lovely braided headband. 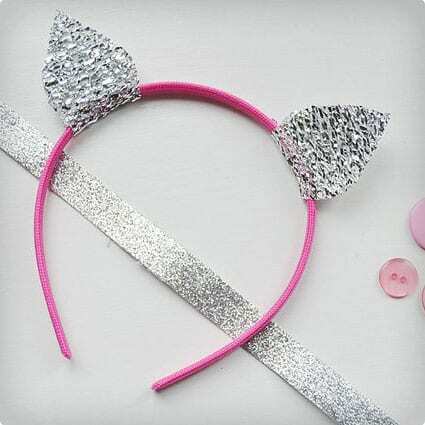 Trendy and fun, this trio of simple animal themes headbands are great for simple costumes, or as playful accessories. 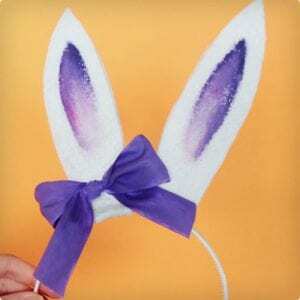 This tutorial includes instructions for glamored up bunny, kitten, and generic rounded ears headbands. You can even skip the ears and make simple pretty wrapped headbands. 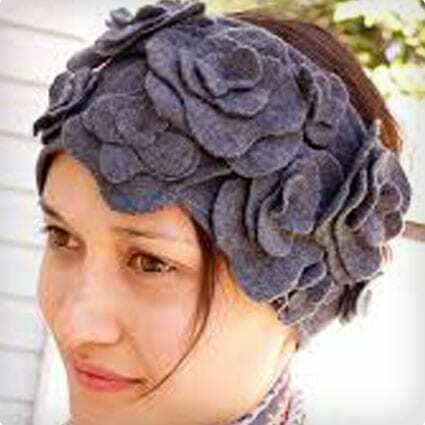 Using a light cotton linen cloth, this crafter whips up a beautiful ruffly flower headband that has a charming appeal. The rough edges and light, almost antique color of the material creates a quaint look that you can change up by using more playfully colored material. 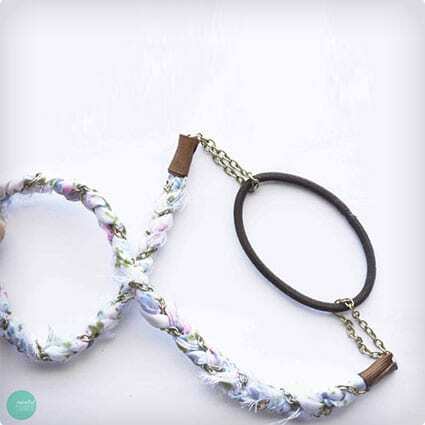 While the crafter uses a beautiful floral print in the example, it is the floral wire sewn into the wrap style band that give this project its real beauty. The inclusion of a step by step pictured tutorial on how to set your hair up with it is a nice bonus. 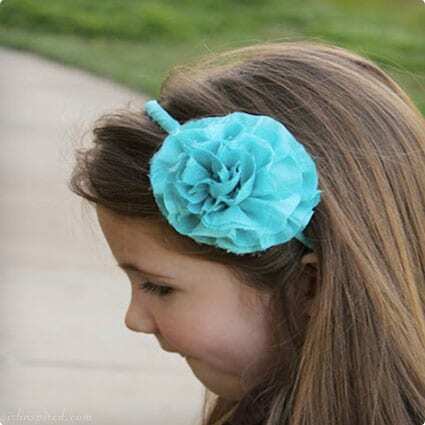 A bit of hot glue, a bit of stitching, and whatever scraps you have in your box is all it takes to make this charmingly simple, but oh so cute ruffle headband. The wide length of these ruffles and simple construction are what make it stand out among other ruffle based design. 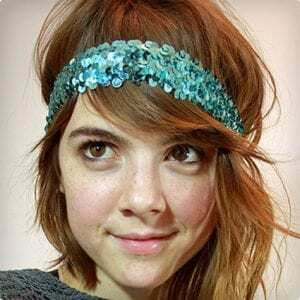 With this tutorial you can make a headband in any color threading you like and look like a million dollars with this easy rhinestone design. 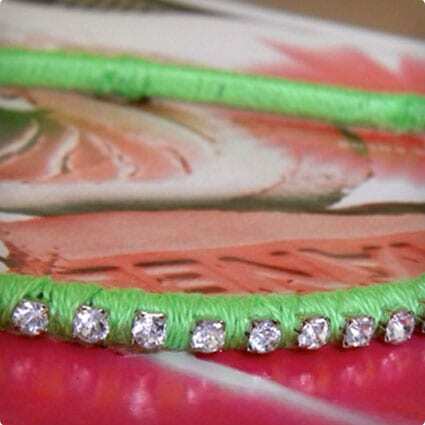 Great for beginners and young teens that want to glitz up their accessories, or just add a bit of sparkle to an outfit. 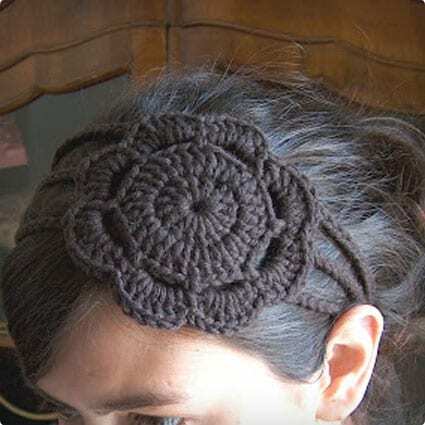 There are probably hundreds of thousands of crochet patterns in the world, and a large number of them are devoted to making beautiful headbands. In this easy-to-do tutorial, you are shown how to make a simple and uniquely accented crochet headband. Plush and cozy, this knitting tutorial is clearly laid out to the point even beginners can easily tackle this design. You can use any brand of chunky style yarn you like, and with the quick crafting time, it can make an awesome homemade gift for holidays and birthdays. 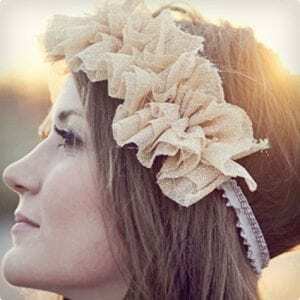 This wide headband doubles as an ear warmer and the felt flower accent is a perfect adornment when you want something simple and pretty. 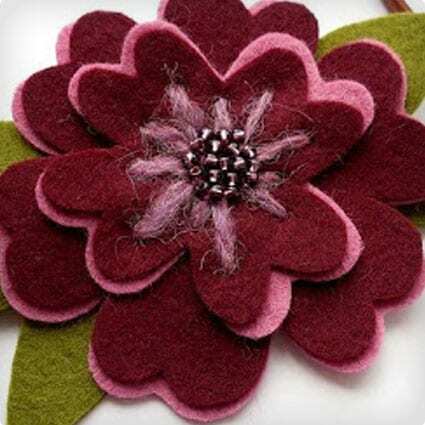 The crafty lady behind this project gives you the basic knitting guideline as well as the walk through for the felt flower add on. 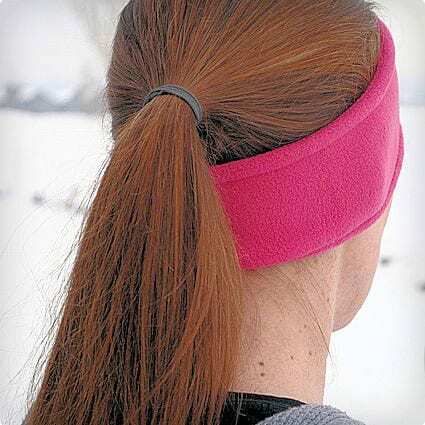 This fleece headband/ear warmer uses very little material and very little time to put together. 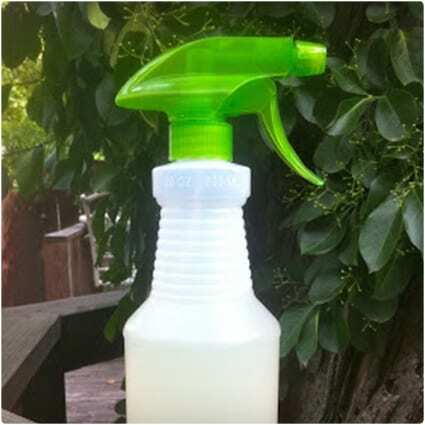 Its simple, broad design is perfect for Autumn and Winter weather, and busy moms who don’t want to let the cold slow down their daily outside activites. 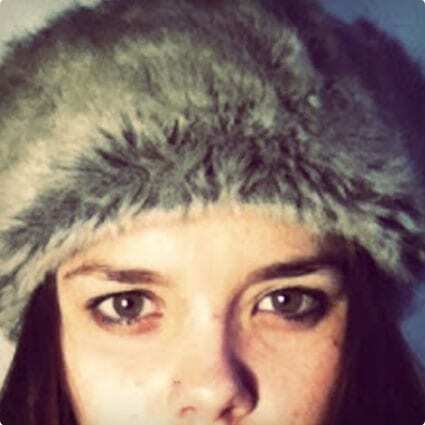 For those that do not care for the simplicity of a fleece headband/ear warmer, there is always faux fur. 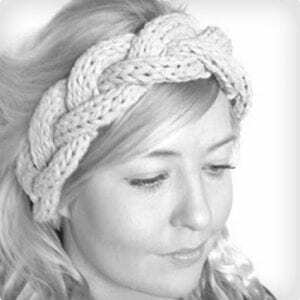 This simple project can result in a beautiful and fluffy headband that is perfect for chilly weather and classy as well. This felt headband/ear warmer with intricate flower tutorial makes a brilliant and beautiful addition to any wintry wardrobe. The simple project is so easy that younger kids and adult alike can both have fun while making a new accessory for themselves, or as gifts. Beautiful and versatile, this tutorial is a perfect way to turn scraps into essential style component. The tapering dimensions make it better suited to older kids and up, though the really craft could adapt it to fit even young children as well. 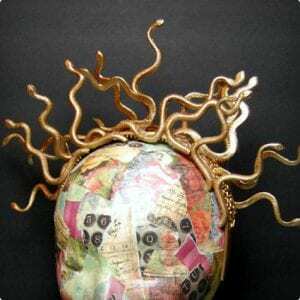 Using a handful of dollar store items and a few minutes, you can make this frightfully awesome Medusa headband. The perfect accessory for witchy gorgons, or any serpent themed costume, this headband is easy enough for kids of all ages to make, or wear. 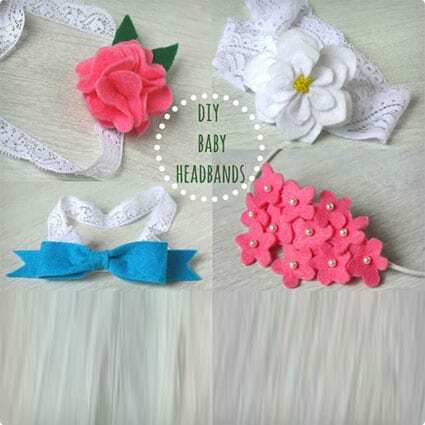 One of the biggest categories for DIY headbands, aside from knitting, belongs to the baby category. This uncomplicated headband is adaptable, comfortable and gorgeous. Your little one will be more likely to tolerate wearing it because of the soft material and the compliments will be abundant. 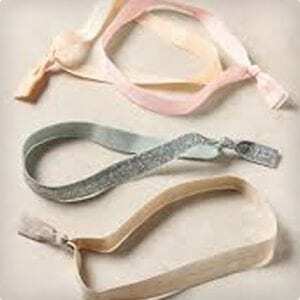 Good news for all those who want a cute headband but don’t want to sew. This nice and easy felt wrapped project called for four components; scissors, felt, a plain headband, and hot glue. 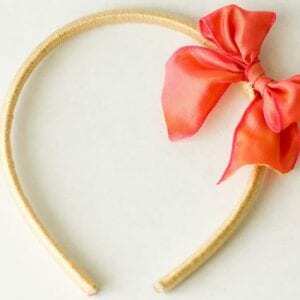 The adorable little bow is a simple accent that is perfect for everyday and special occasion outfits. What kid doesn’t enjoy dressing up? 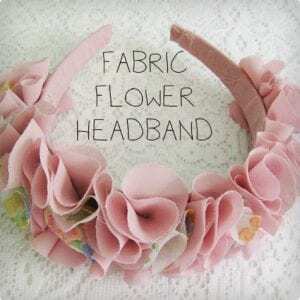 This flower crown headband is cute and simple enough that you and your little ones can enjoy assembling and wearing them together. 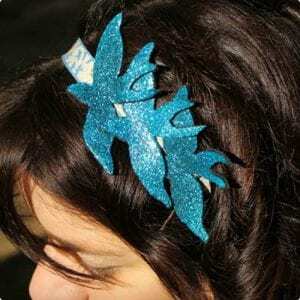 It is perfect for Spring occasions, Easter, or any sort of fairytale dress ups, and even Halloween costumes. 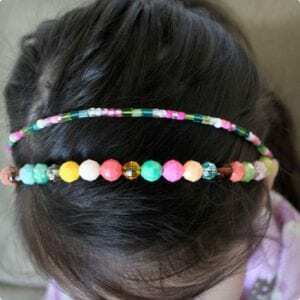 All it takes is some elastic string and colorful beads to make this incredible simplistic but effective headband. You can really let your imagine go wild with the bead work and the pattern can be adjusted for any age, which makes it a perfect craft for all ages. 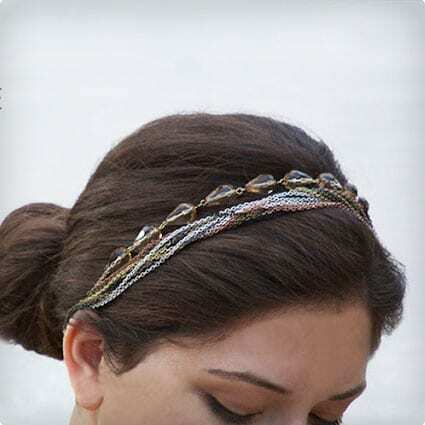 Classy, elegant, and absolutely adorable, this pleated headband with pearly accents is not only easy to make, it can be the perfect compliment to any formal outfit. If you need a little something that is not too frilly to accent an Easter, wedding, or dance outfit, then this is your headband. Old t-shirts can be a great resource for all manner of crafts. 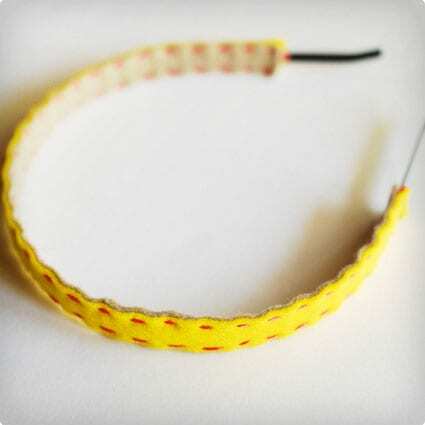 In t his little tutorial, turn your favorite old t-shirt into something really useful and neat; a knotted headband. The stretchy nature of the material helps it not only stay in place, it also makes it super comfortable. 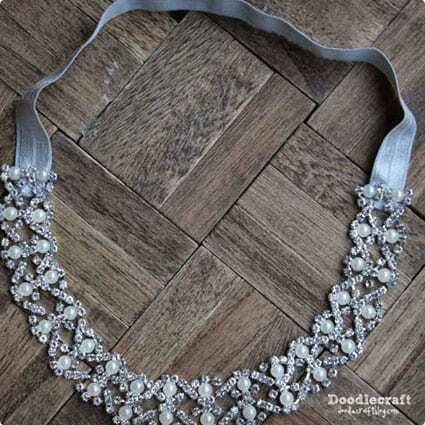 Do have a gorgeous necklace that you think would make a neat headband? Or, what about one with a broken clasp? All you need is a jump ring or two, and an elastic hair to to turn into into a headband! In this succinct tutorial you can see just how easy it is to switch between necklace and headband. Sometimes all you want is a little bit of color, and maybe a touch of edginess. 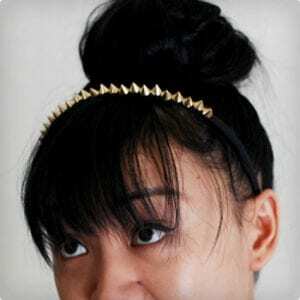 This beginner friendly guide shows you how to make a simple, yet bold studded headband using very few materials. 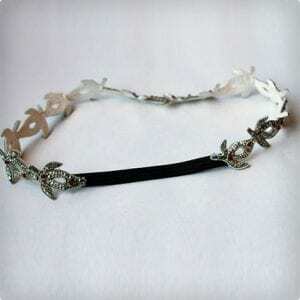 This headband is perfect for a slightly punk or tough, but not too tough accent to your look. 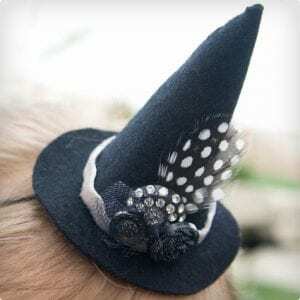 Have you seen those adorable little witch hat headbands in stores and wondered how hard it would be to make one for yourself? Well the answer is not very. In this tutorial you are given the rundown and patterns needed to make your very own witch’s hat headband that you can accent as you please. In this thrifty and nifty tutorial, one frugal momma shows you how to turn plain lace headbands and clips into a set of interchangeable flowered bands. 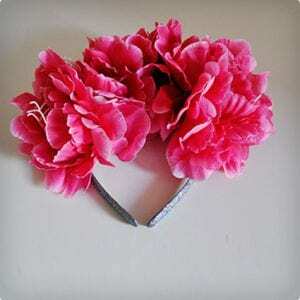 You can use any type of faux flower you want. Some use this to make weekly or seasonal themed sets. Have you ever wanted something creative to do with the seashells your kids gather at the beach? With this tutorial you can turn them into lovely accessories they are sure to enjoy for years to come. You can paint them up, or leave them in their natural tones. 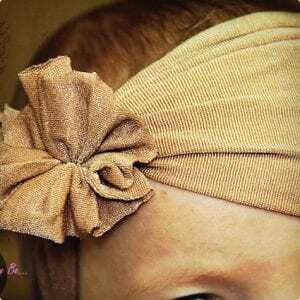 One reason babies tend to not tolerate headbands is they can be scratch and uncomfortable. 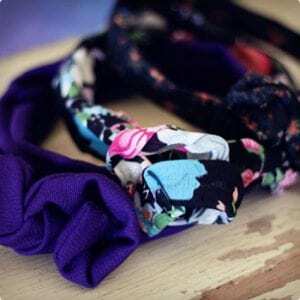 In this beginner friendly tutorial, you can learn how to make pretty and comfortable headbands from old, or new tights. The simple band is even styled into a bow, making it a lovely accent to any girly outfit. You can use small rope or ribbons in this tutorial and create a wonderfully nautical themed headband. 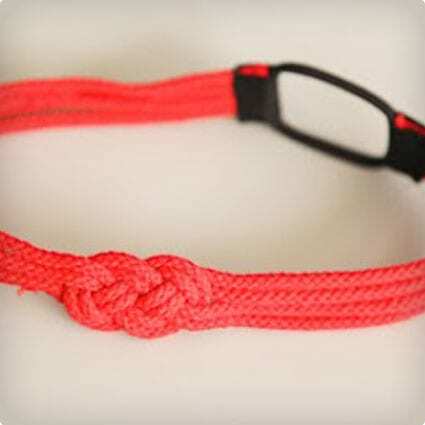 It is great for those who enjoy the ocean, sailing, or who enjoy the beauty of knot work designs. 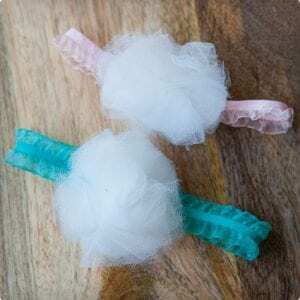 The clear, step by step pictures and tips make it project that older kids and up can enjoy. 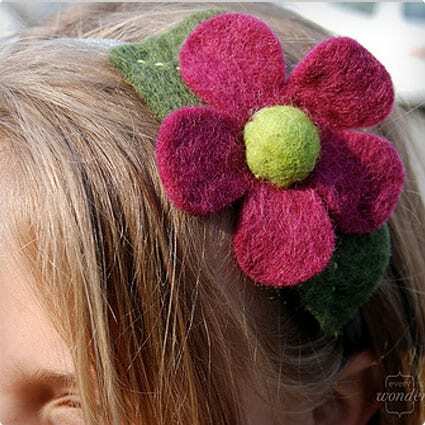 This tutorial is a wonderful collection of ideas for how you can turn your scraps into a wide array of beautiful headbands with felt flowers. 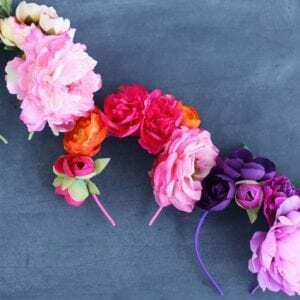 The basic guide for making the headband is quick and easy, while the selection of flowers ranges from very simple, to highly layered. 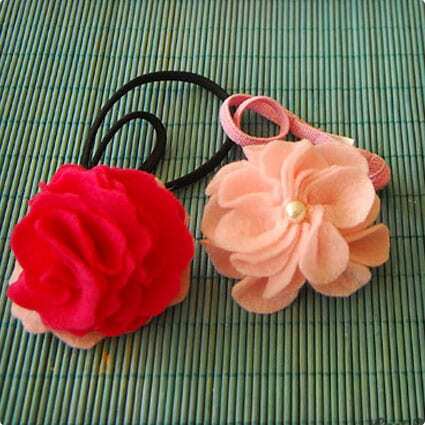 You can opt to sew on the flowers, or add them to clips for a more versatile creation. 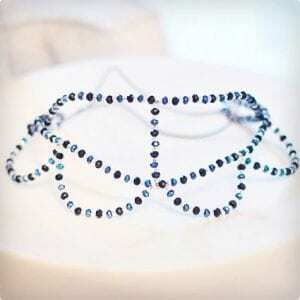 This gorgeous tiara can be made in any color, using any small to medium sized bead you want. The sheer creativity and easiness of it will leave you wondering why you hadn’t figure out something like it before. If you don’t have the materials needed, you can easily find them in any crafting store. 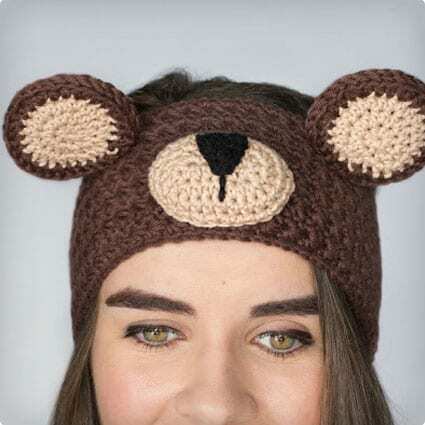 Cute and cuddly are the best words to describe this crocheted headband. Who doesn’t adore a fuzzy teddy bear? This beginner friendly tutorial walks you through the steps with clear instructions that are color coded and there is even a video clip to help you as you go. Wistful and artistic, this flying swallow headband is great for avian lovers. The crafter includes a free template to download to get the birds just right, so you too can transform scraps into something that is both beautiful and useful. If you have any bit of unique leather scrap, or even an old leather purse that has a neat pattern, you can use this guide to turn it into a simple, but unique headband. 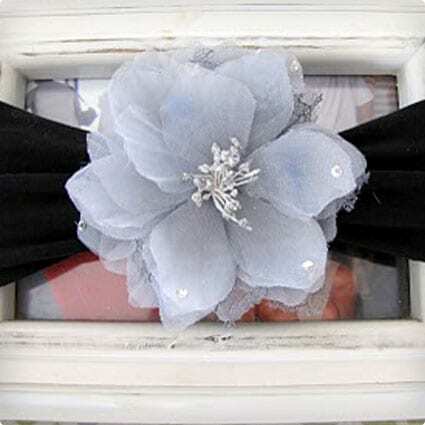 The ribbon ties in back help ensure it fits securely, as well as provides a potential bit of accent for the headband. Bohemian chic can be a fun style for carefree Summer weather. What better way to get in a Boho spirit than with a braided leather headband that is adorned with a pretty flower? The components are simple and usually pretty cheap, and the construction time is quick, making this a great group project idea. 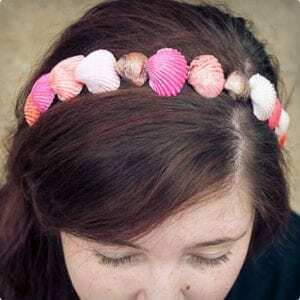 Have you ever admired those big flower crowns that some people wear in the spring, but didn’t quite want a full wreath? This simple guide shows you how to easily turn any arrangement of faux flowers in a brilliantly blooming arch to adorn your head. 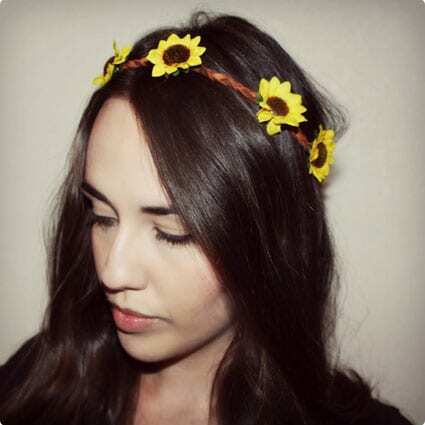 Falling somewhere that can be called either country, Bohemian, or hippie, this quaint braided leather headband incorporates faux sunflowers into its design. 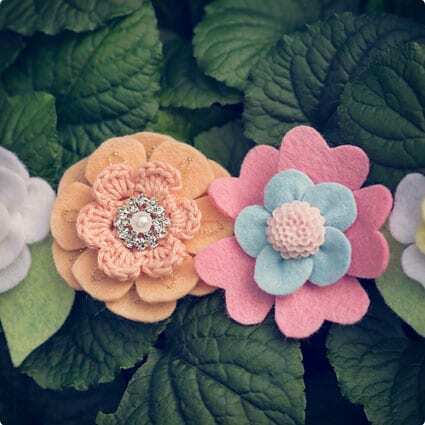 While you can easily use other flowers, like daisies or even small roses, the basic pattern is quite cute as is, and perfect for Spring or Summer outfits. 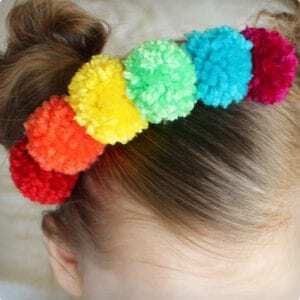 Another in the popular convertible category of headbands, this adorable little pom pom project is great for small kids and older. The guide calls for using a small pom pom maker, which you may or may not have, but you can really use any size available. Taking a side step from the typical sewing department, this tutorial calls for using rhinestone chains and soldering. You can purchase this less than usual material at some craft stores, or order it online. The plentiful selection of styles and simply fabulous looks you can create are perfect for fancy occasions. 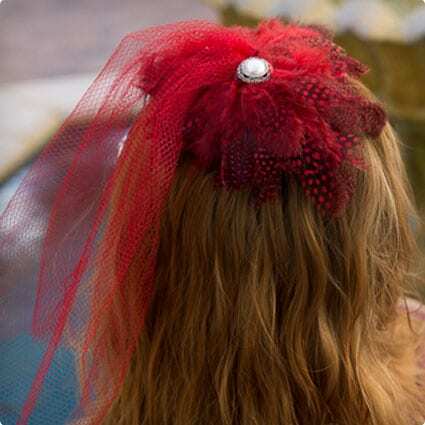 The fascinator concept is simple really, wearing something neat, or fascinating on your head, such as a miniature top hat or some other display of feathers and frills. This particular tutorial incorporates veils and feathers with a headband to create a rather intriguing fascinator headband. There are few other words to really describe this far out there headband. 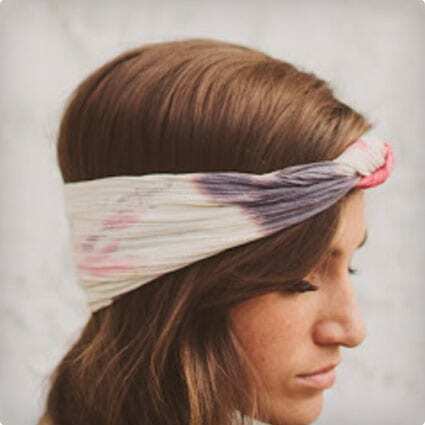 Using classic elements like tie dye and antique style jewel tones, this broad headband is great for hold back your long flowing hair. You can use it as part of a costume, or everyday attire, it has elements that work for either. 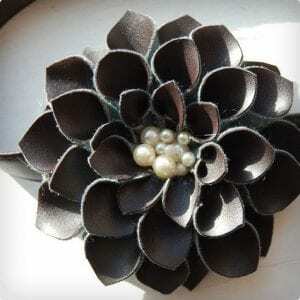 Leather and pearls never looked so great together as they do in this headband design. The delicate white set amid a sea of black petals really makes this a strikingly sophisticated headband. 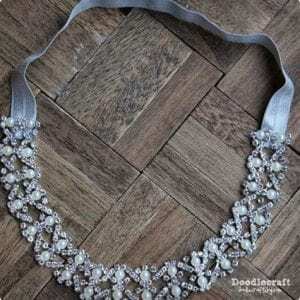 You can easily wear this with a formal outfit, or as an accent to spruce up your everyday ensemble. This beautiful ribbon rose tutorial could work for Winter holidays, or even Valentines. Using very basic components, even those with little experience could handle this project. 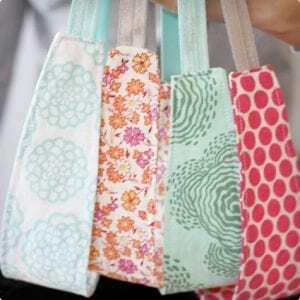 They would also make a great and simple gift idea, or small group project. Takings things way back to the very heart of the basics, this tutorial is the epitome of novice friendly. Using felt in an uncomplicated way, you can create very simple and pretty flowers for any headband. If you’d like to take it up a notch, you can wrap the headband as well. For the little princess in your life, this headband is a great choice for birthdays, Halloween, or everyday dressing up fun. 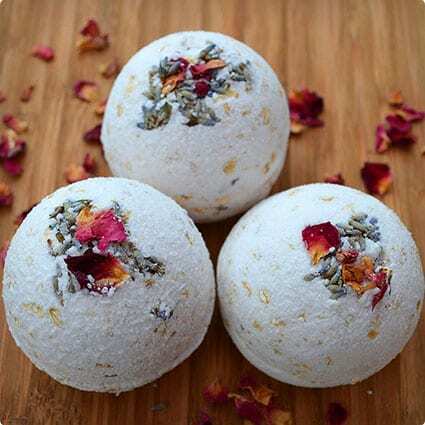 The process is so simple you could easily make them up as party favors for a princess themed party. Using old t-shirts is no new concept when it comes to crafting, and in this tutorial, you really take the simplicity up a peg by means of braiding. The helpful hints and pictures can prevent you from getting mixed up while braiding and the finishing touches are really easy. 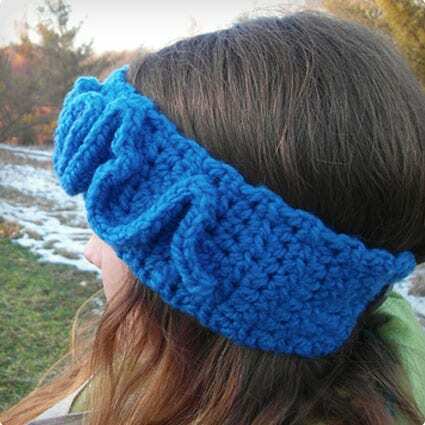 At first glance this headband and ear warmer looks like it would be rather complicated to make. However, after walking through the tutorial, you will find a lot of creative ingenuity went into designing this beautiful felt creation that just about anyone could make. While smooth edges are something you typically expect in a design, there is something to be said about the charm of a bit of planned fraying. The rough edges of the flower in this design lend a rather quaint and youthful appeal to it. Taking the simplicity of a frayed flower and turning it into a multiple tiered rosette, this headband has a slightly more grown up appeal. You can accent the center with something sparkly, or antiqued to give it a vintage look, which works doubly well because of the rough edges. 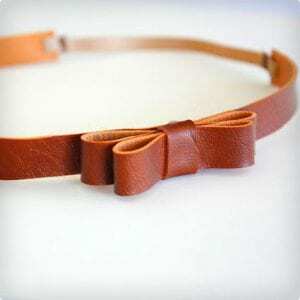 If you happen to work with a lot of leather, have an old leather purse knocking around, or happen to land a good old one during a thrift store trip, then you can make this scrappy little headband. With the short list of supplies involved in creating this project, it can be considered beginner friendly. 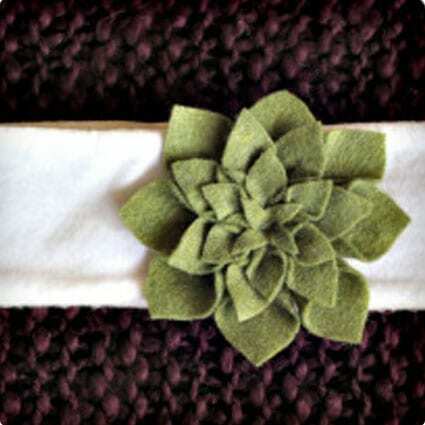 Ruffle and rough edges make this simple headband a delightful addition to any collection of hair accessories. 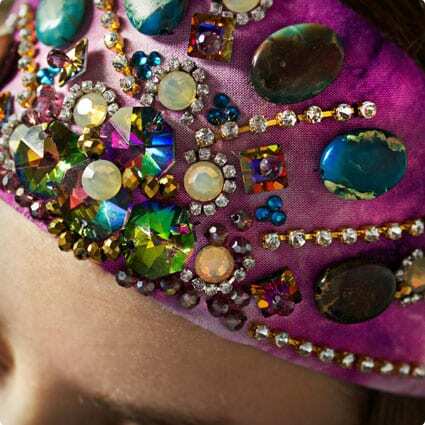 You can use any bit of scraps or coordinate your colors into a playful headband that not only keeps your hair back, but can compliment your hair color. Of any leather headband project, this is probably the quickest and easiest. If you have any type of leather scrap that is long enough to wrap fully, or partially around your head, then you can make this headband. 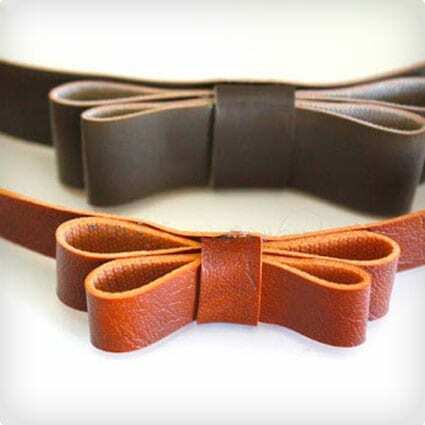 The simple bow adds a fine touch of classiness that can accent a basic outfit. 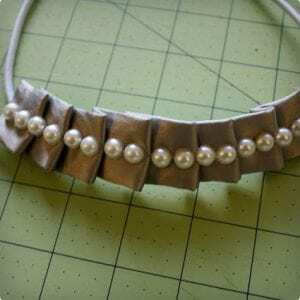 This intermediate level tutorial can be used to create a beautiful ruched headband with ribbon ties. You will adore the charming and sophisticated style that this headband can add to any outfit. 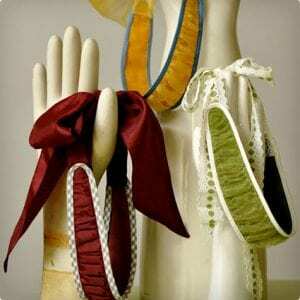 Unlike other projects you do not need a basic headband to start with. Out of any felt flower style, this box flower is easily one of the cutest and easiest to make. 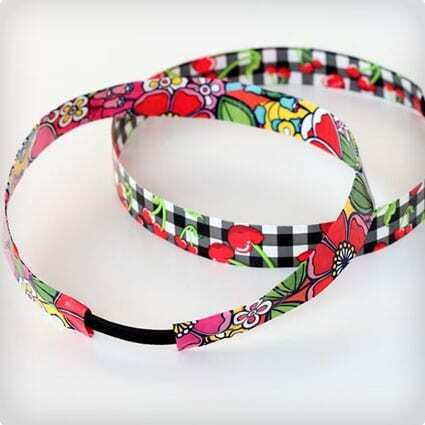 The headband portion is designed to be just as easy, and comfortable enough for little ones. Intended for babies, this design can also be adjusted for older kids as well. 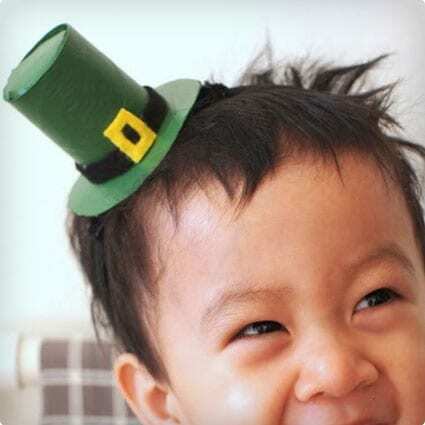 If you are in a pinch for something green on St. Patrick’s day, this simple headband might just do the trick. Using shamrocks and not four leaf clovers, this pattern is quaint and quick to make, so it would be ideal for a classroom group project. This little project is definitely in the category of what you would call a “no brainer”. Using nothing but elastic and a simple knot, you can make both headbands and hair ties. Don’t let the simple concept fool you though, these thrifty headbands can be quite handy. 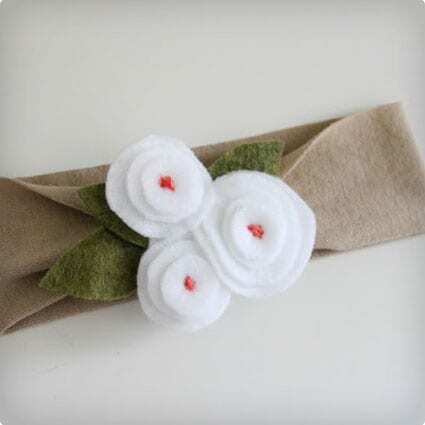 Buttons, ribbons, and ric rac come together in this cute little headband design that will bring out a lot of “ooohs and ahhhs”. Younger kids can enjoy helping to pick out the components, but an older kid or adult should be on hand to handle the hot glue. 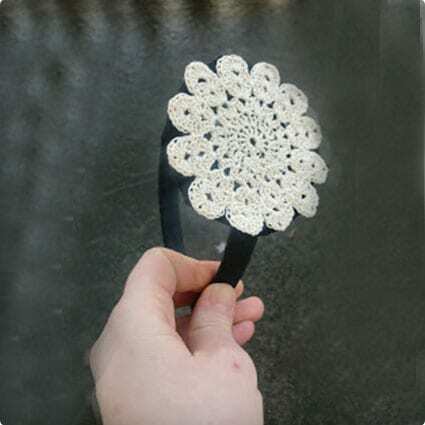 Using feathers, felt, and leather, this simply elegant headband is a mix between being ornate and being a real fascinator. The small amount of required components rates this as something that could be done with scraps, or very minimal costs. One clever momma learned that when you have to make a lot of something, simplicity is your friend. Using nothing more than ribbons and two elastic hair ties, she came up with these adorable headbands. They are great for those on a budget, or who just want to whip up something quickly to get the job done. After attempting several different patterns, the crafter behind this tutorial figured out a much easier way of making a cloth headband. 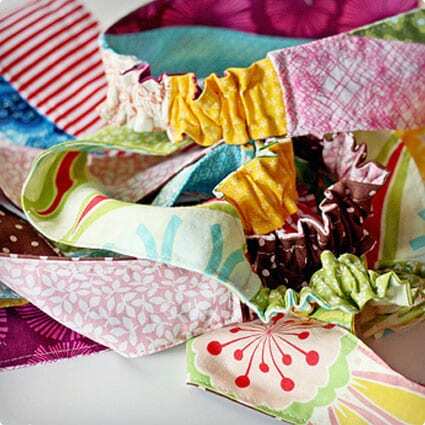 Following the instructions and examples, you too can make a beautiful cloth headband out of any material you have and in very little time. Flowers are a rather commonly recurring theme when it comes to headbands. In this felt flower tutorial, the crafter is keeping alive a very old pattern that is simply gorgeous. 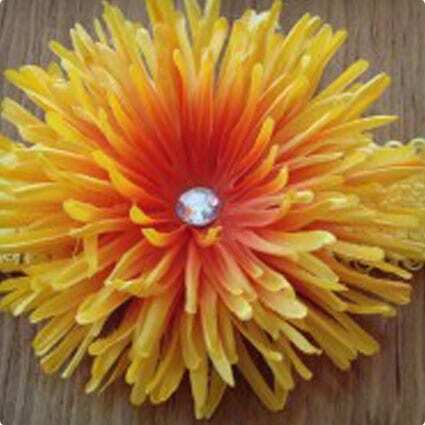 Using yarn to create artistic highlights and layers to give it depth, this flower is quite unlike other designs. Knitting can be an intimidating prospect. 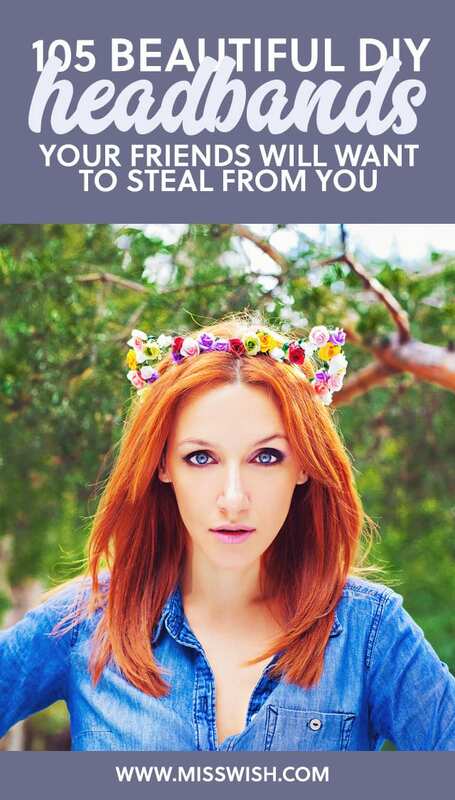 With this easy tutorial though, just about anyone can create a simple three strand headband that is adorned with a lovely flower. The crafter gives the pattern guide for both this and the basic variation that is without a flower. Describe by the crafter as a hippie headband, this one borders on that fine line between creative and lazy, but in a good way. Using very simple items and few steps, most do-it-yourself types will likely have all these components lying around. 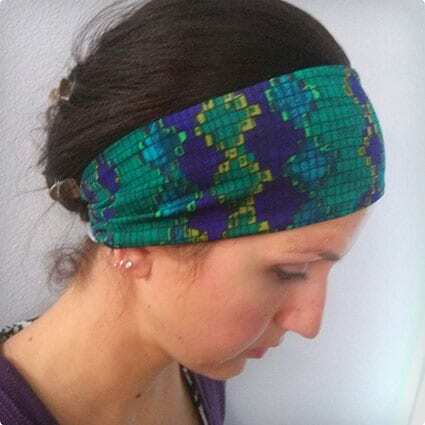 Created to be simple, this beginners headband is adjustable in either a wide or narrow version, according to the provided pattern and instructions. Another adjustable feature is its two-sided nature, making a very versatile accessory, if you choose to use two different materials. 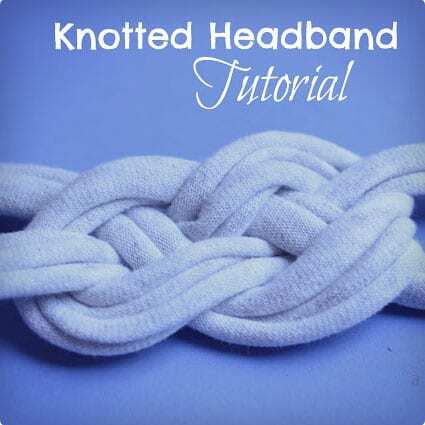 What is better than a single quick and easy headband tutorial? How about four? 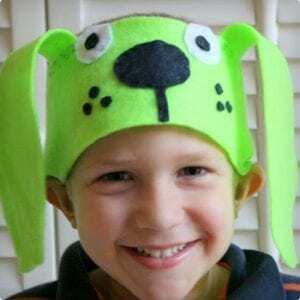 The quirky crafter behind this blog couldn’t decide on a single plan to post about so she decided to divulge her full repertoire of quick and easy headbands that beginners and kids can use. Taking a rather popular design and turning it into a kid-sized version, this design tutorial makes a few tweaks along the way. Following the crafter’s notes you can get tips on how to measure and adjust the size of the headband. Unlike some ruffle looking designs, each flower on this headband is made individually. Following a very basic design, it is easy to fill up a whole row of them onto a headband. You can use different colors to change up the monotone theme. The intricate flowers for this headband are layered and elegant, with a full fluff of petals surrounding a jewel, or pearl accented center. You can follow the two flower design, or opt to add more to the opposite side for a balanced variation. 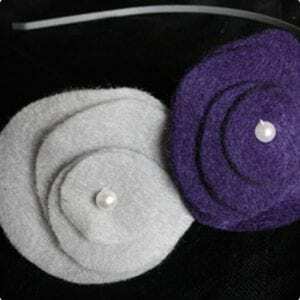 According to the creator of this nifty felt and pearl headband, the whole project was done in ten minutes or less. The most work that went into it was in cutting out the petals. 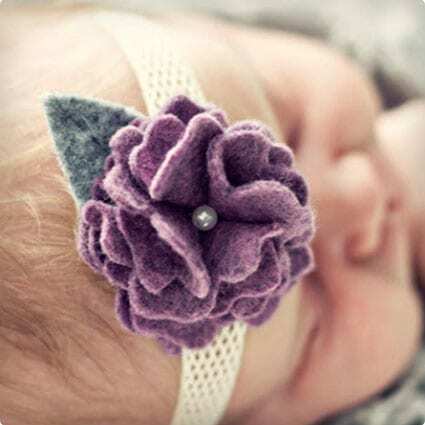 If you are looking for a very basic headband for your baby’s next photo session, consider this simple project. While they are called cat ears, the general shape of the example is a bit vague, and could easily be classed as tufts, or even horns. The design behind making them however, is quite creative and very simple. Young kids could easily follow the instructions and create a set of ears for their next dress up session. A printer, some white cloth, and cloth paint pens are all you need to make this nifty ninja-style headbands. 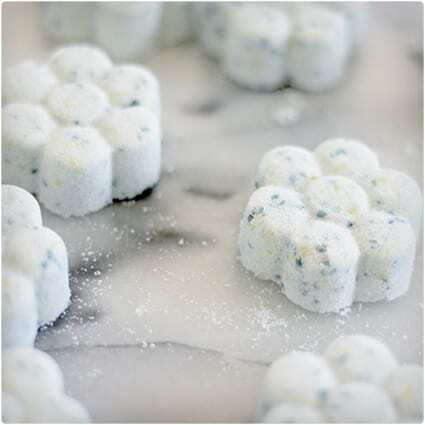 They are simple and cheap enough to make as party favors. You can even use the tracing method described to create other patterns as well. 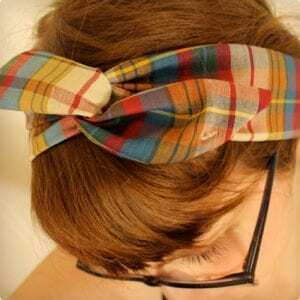 If you have a simple headband whose decoration has broken off and can’t be redone, consider this quick and simple remake with a bow. Using very little material, you can quickly dress up over the marks from old decorations and create a whole new look. Nothing says love like a multitude of hearts, and this simple heart embellished headband is perfect for Valentines. The uncomplicated instructions and low materials required make it a great pick for class and family group projects. Duck tape has held more than one crafting competition where people have made entire outfits from the amazing tape. In this quick and easy project, you can see just how easy and versatile a crafting material it really is. As a bonus, it is also known to very durable, so it will last a long time. 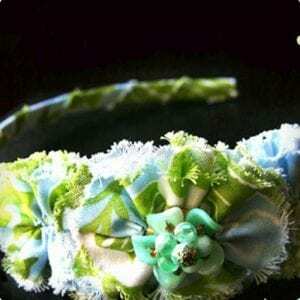 Using the stitching as part of the decoration, this very quick project is great for dressing up a plain headband, or redoing one that has lost its decoration. The slip cover style allows you to wear it two different ways if you’d like, or it can act as a base for more decorations, such as ears, or other ornaments. Easily one the simplest designs involving pantyhose/rights, this headband tutorial can be used for babies to adults with very little effort. The felt flowers in the example are a nice touch for the color of tights that were used, but you can easily decorate them how you like. Bows are the quintessential mark of cuteness. 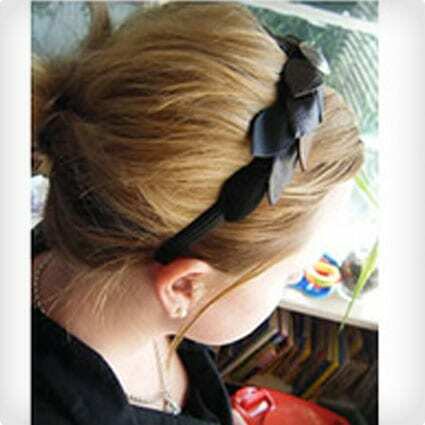 In this particular tutorial you are shown how to wrap a headband and make a very quaint bow to dress it up. As an accessory, bows are very versatile and can fit in both formal and informal settings. 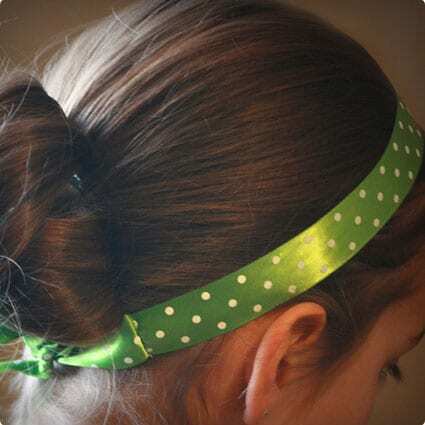 If you want a headband that is sure to stay in place, check out this tutorial. 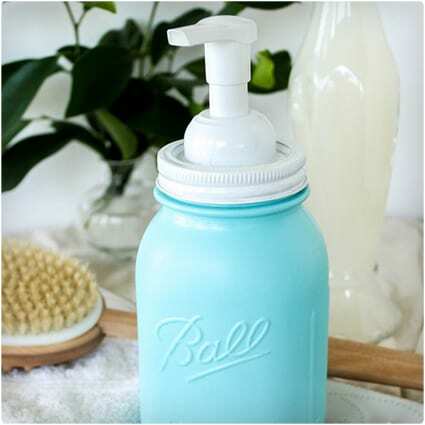 It gives three different variations, each one using the same no-slip techniques, with slight cosmetic differences. You don’t have to be a virtuoso to follow the instructions either, the trick to its grip is in the materials used. Tie dye can be done very chic as this instructional blog post demonstrates. The crafter combines very mellow tones with simple dies and techniques to make very sophisticated patterns. A single knot at the apex highlights the crinkle of the bunched material and adds urban appeal. If you’ve never hear of Knuffle Bunny or Mo Williams, that is alright, you can still enjoy making this adorable bunny headband with your kids. Perfect for playtime, Halloween, or bunny enthusiasts, this simple project will delight parents and kids alike. Who says headbands need to be entirely functional? 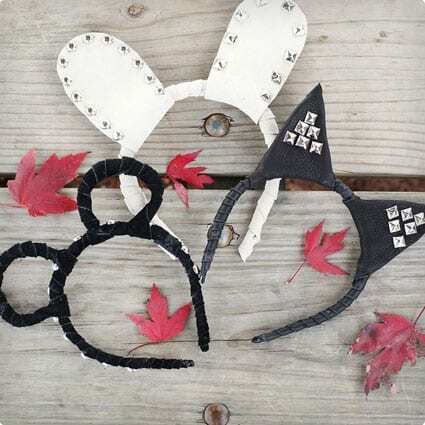 This trio of easy to print and make designs can transform any basic band into the ears of one of Hundred Acre Woods most notable characters. 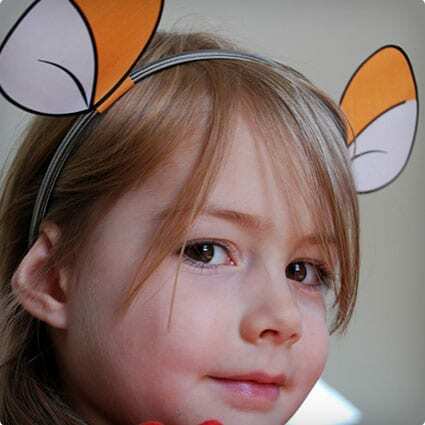 Though the fun is not limited there, the easy to mimic concept behind these ears can be used for other costumes as well. Pretty strip of lace? Check! Elastic, or elastic hair ties? Check! Hot glue gun and glue? Check! 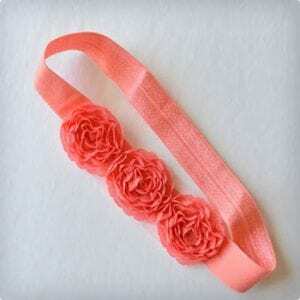 That is all you will need for this very basic headband. The crafter behind the project absolutely loves lace and finding ways to wear even more of it, which is great since anyone can enjoy the simple beauty of a new lacy headband. 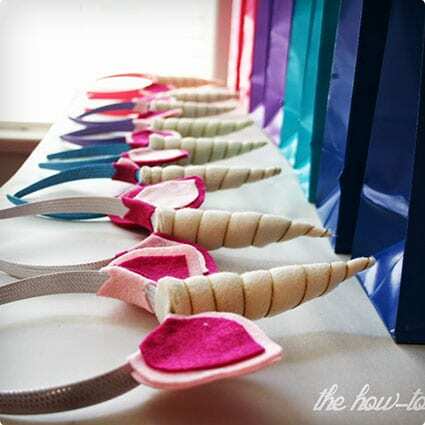 If you happen to find yourself buried in your crafting work and in need of a headband, consider this nifty trick. 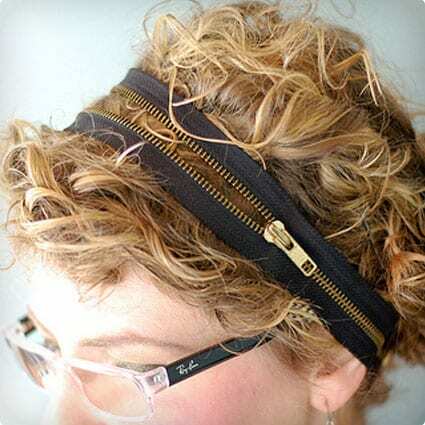 Using a zipper and some bobby pins, you can easily create a temporary headband that is both stylish and very functional. Based around St. Patrick’s day, this leprechaun hat headband can also be decorated to suite other needs as well. Making use of everyday items, young kids and up can have a hand in this project, and best of all, no sewing is required. Bunny ears are adorable, but sometimes you get tired of the same old design you see in stores year in and year out. With this guide however, you can make your own unique pair of ears that are cutely quirked and accented with a pretty bow. 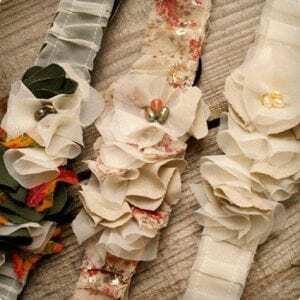 What is more iconic for a girly headband, ruffles or flowers? In this tutorial you will create a ruffled headband with flowers, so you don’t have to choose. 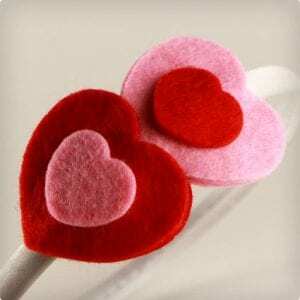 Make using very little material, it is another project that is perfect for your scrap bin. This tutorial has a trio of designs for baby headbands that can be made using glue or a few quick stitches. Each one takes only a few minutes to assemble and are perfect for creating the exact bit of color you are looking for to accent your baby’s outfit. Lightweight and zany, these fuzzy monster eyes will have other people seeing green with envy. 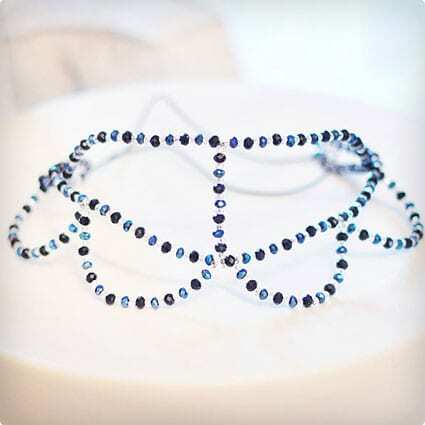 They are excellent as a compliment to a Halloween outfit, or any other monster costume, such as for a school play, this headband is definitely creative. You can find doilies all over the place, especially at thrift stores, and in this tutorial, you will find a great use for them. Younger to older kids will most likely enjoy picking out which to use and helping with some of the assembly. 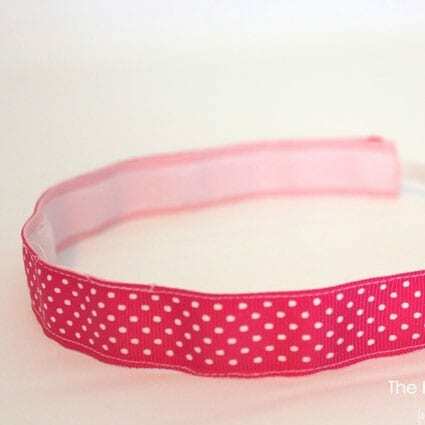 If you have some sparkly trim and elastic hanging around your bits and pieces box, then you can make this simple, yet fabulous style headband. It is perfect for adding a bit of color and shine to everyday outfits, or accenting your monotone fancy ensembles. 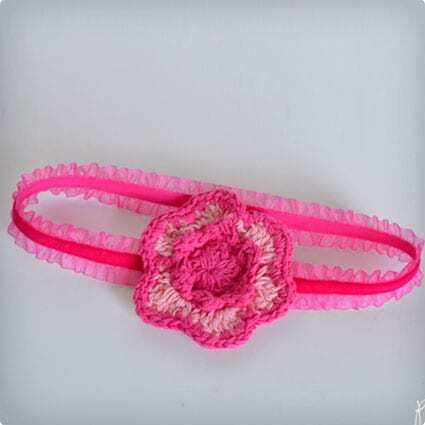 In this collection of baby sized headbands you will find more quick and easy to assemble designs, which can be adjusted to larger sizes. This crafter wanted to hit the major categories of accents, and include felt flowers, lace and bow among the components. What is sassy and somewhat patriotic at the same time? How about a sleek black headband and tall spikes that resemble Lady Liberty’s own headband? 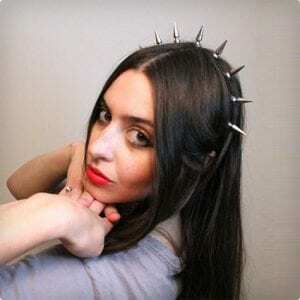 This quirky, and somewhat foul mouthed, crafter brings us her cheap and easy take on what has been dubbed a Bowser Headband. 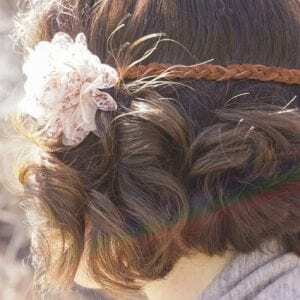 Making use of cheap faux flowers with wire stems, this crafter shows you how to make a large, full bloom crowning headband in mere minutes. 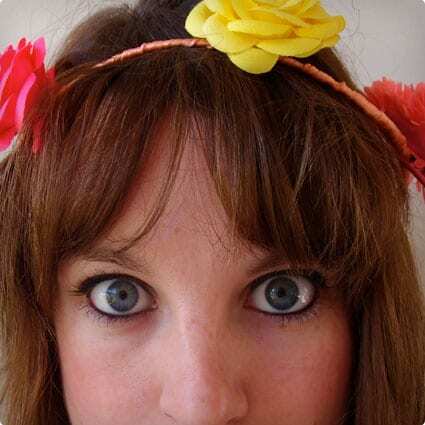 The secret is in selecting the right flowers and using a basic headband with teeth to help hold them in place. What princess or fantasy party is complete without unicorns? 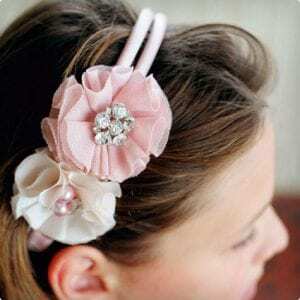 This nifty headband is unbelievably easy and can fit in perfectly for a lot of different occasions. Thanks to a popular kids show, these headbands make for a great project that girls and boys can both enjoy. 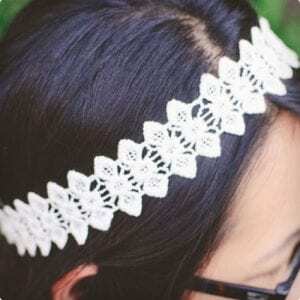 This creative and unique headband is made entire from simple components and can even double as a necklace. Only a few simple materials are needed and you can get very imaginative with your combination of chain color and fabric patterns. In this no-sew project, one smart momma shows you how you can quickly and easily transform bargain bin finds, or even scraps you already have, into beautiful baby-sized headbands. The design concept is pretty basic, so you can use it with just about anything you find, or have. Tulle petals and bits of sparkle give this elegant little headband a hefty dose of class. Perfect for weddings, recitals, or any special occasion, this headband has just enough dress without being too fancy. The costs for making it are also really low, which means it can be made for up for large groups without endangering the budget. 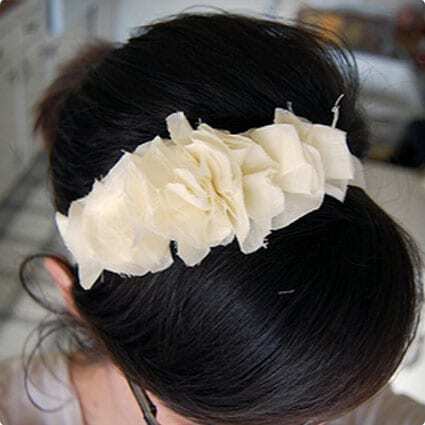 Simple and sweet, this leather and ruffled roses headband can be made using leather, or gentler suede and any bit of soft scraps you have. 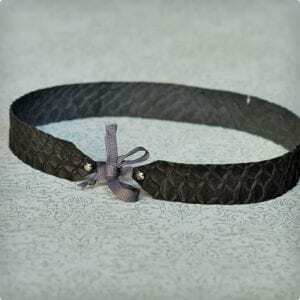 The construction time is modest and it gives a refreshing take on the leather and cloth headband design. Nothing says little royalty like a gold crown, and this headband tutorial is right on the money with making an inexpensive and adorable little crown headband. 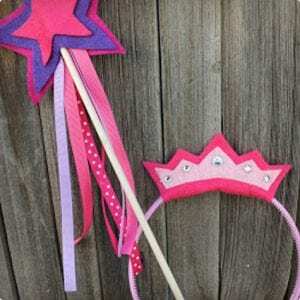 Your little prince or princess will thrill over wearing it and its easy enough to make as party favors, or for entire classes. Unlike most cloth headbands, this design incorporates a bit of wire to help give shape and support. The easy to follow instructions even give pointers on how to prevent some of the most common problems that this style tends to develop over time. 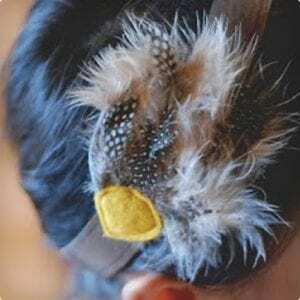 Original and stylish, this faux feather headband made from felt is simply amazing. The clean lines and layers are what really make this design stand out from others and it will surely be something to grab attention wherever the wearer may go. When it comes to using an athletic headband, you don’t want frills and felt, you want something simple and effective. This tutorial shows you how to make a very simple, broad, athletic band and gives advice on what sort of cloth works best. 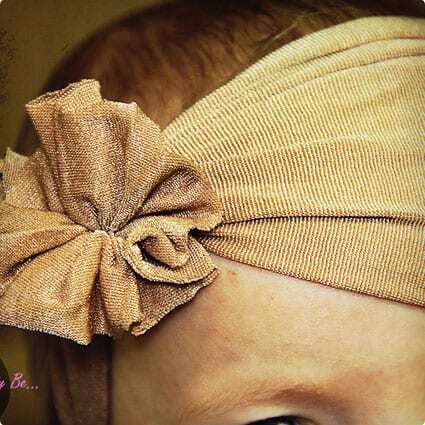 Simple, adaptive, and padded for comfort, these baby headbands are definitely easy to make. You can use them for boys, or girls, and they make great party favors for a baby shower, or group project for a baby doll themed party. 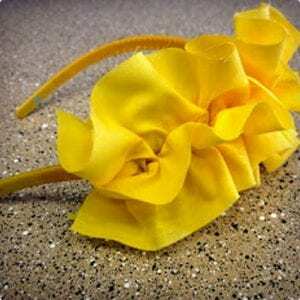 Using only two materials and a sewing machine, this nifty ruffle headband can be made in less than give minutes. 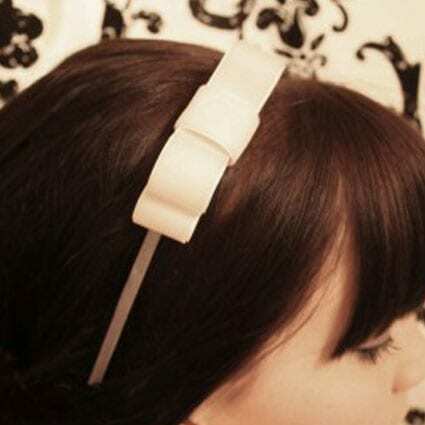 For a really neat, two-tone look, using a bit of ribbon that is banded, in different colors or shades, will do the trick. 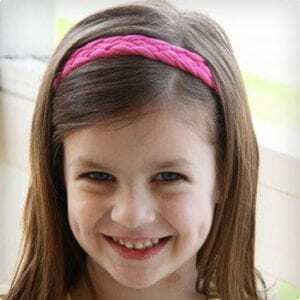 The optimal time to assemble for a simple headband is around ten minutes or less, with this stretchy tulle design, you can easily meet that requirement. Tailored for when want something quick and pretty for a baby, this concept can also be applied to other types of ribbon to match a particular outfit.